Log into WordPress. If you are unsure of how to do this, view Logging in to WordPress. Access Menus. Go into Appearance and then click on the Menu tab. 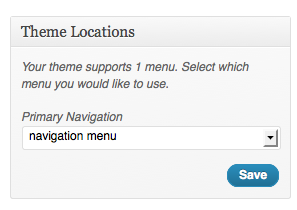 More details about building WordPress menus. Your menu will be updated and you can go to the visit site tab to see how your site looks to visitors. Note: Different themes support different numbers of menus and menu items, some only allow for one menu.